CYB3RCRIM3: The Contractor, Theft and "Computer Intrusion"
After Christopher R. Glenn was charged, in an indictment returned by a federal grand jury, with theft of government property in violation of 18 U.S. Code § 641, computer intrusion in violation of 18 U.S. Code § 1030(a)(2)(B), false statement in violation of 18 U.S. Code §1001(a)(1), two counts of structuring financial transactions in violation of 31 U.S. Code § 5324(a)(3) and naturalization fraud in violation of 18 U.S. Code § 1425(a), the prosecution “moved for pre-trial detention of [Glenn] on the basis that he is a serious risk of flight or nonappearance.” U.S. v. Glenn, 2014 WL 1514327 (U.S. District Court for the Southern District of Florida 2014). [i]f convicted on count 1, [Glenn] faces a maximum penalty of ten years in federal prison. If convicted on counts 2–5, [he] faces a maximum penalty of five years in federal prison on each count. If convicted on count 6, [he] faces a maximum penalty of ten years in federal prison. U.S. v. Glenn, supra. The news stories you can find here and here provide some information on the facts that led to the prosecution. (4) detained under subsection (e) of this section. 18 U.S. Code § 3142(a). So, basically, the issue was whether Glenn was entitled to be released on bail. In this opinion, the judge finds the facts relevant to how he would resolve that issue and then articulates his decision. U.S. v. Glenn, supra. 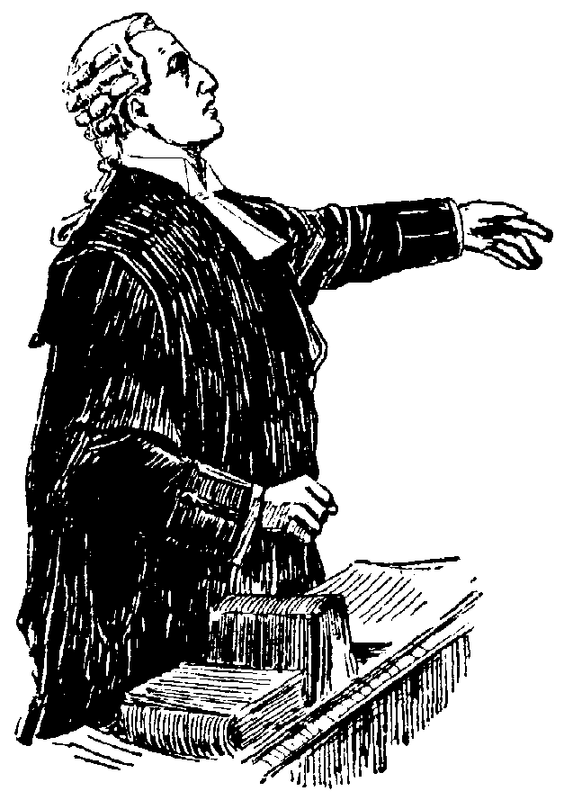 He divides his findings into five categories: (i) “nature and circumstances of the offense(s)” with which Glenn is charged; (ii) the “weight of the evidence against” him; (iii) Glenn’s “history and characteristics”; (iv) his “criminal history”; and (v) the “likelihood [he will] appear in court if released”. U.S. v. Glenn, supra. The factual findings for the first category – the offenses with which Glenn is charged – are set out in the first paragraph of this post. U.S. v. Glenn, supra. The judge simply reviews the various offenses on which Glenn has been indicted. U.S. v. Glenn, supra. worked as a computer network system administrator and contractor for Harris Corporation at Joint Task Force Bravo (`JTF–B’), located at Soto Cano Air Base in Honduras. [His] duty . . . as a computer network system administrator . . . was to implement operating system software in JTF–B's computer network system. A forensic exam of [his] computer performed by an Army Criminal Investigations forensic expert revealed that, from February, 2012 to August, 2012, [Glenn], who had a `secret’ security clearance . . . allegedly gathered classified documents (specifically, email messages) without authorization and transferred these documents onto movable media. The forensic examination of [his] computer further revealed that, on June 17, 2012, [he] created a folder on his computer which he labeled `docs.’ This folder contained three sub-folders, and eighteen files. Seventeen out of the eighteen files were classified at the `secret’ level. The files in this `docs’ folder consisted of email messages and file attachments from JTF–B Commanders. [Glenn] was not authorized to take emails from these accounts nor any documents contained therein. [He] unsuccessfully attempted to copy these files onto a disk, but he did not have the authorization to do this. Instead, [he] burned [them] onto a DVD disk, and had to override security protections to accomplish this. The DVD disk contained a folder titled `docs,’ and this folder contained the same three sub-folders and eighteen files that were found on [Glenn’s] computer at JTF–B. [He] attempted to delete any evidence that he had copied these files, and forensic examiners could not locate the DVD disk. On July 19, 2012, [his] JTF–B computer showed signs of a virus as well as signs that the computer had accessed a `malware’ site. On August 1, 2012, Harris Corporation terminated [his] employment. On August 6, 2012, Army computer technicians manually removed the unclassified hard drive from [his] JTF–B computer. This hard drive was involved in two `malware’ instances. A forensic analysis of the hard drive revealed 3,000 unclassified emails from the JTF–B Commander. These emails were stored inside [Glenn’s] personal email folder. Additionally, [his] hard drive contained Outlook email folders from two other members of JTF–B. [He] did not have authorization to have these files in his possession. Also on August 6, 2012, a mass deletion of pre-fetch files was detected. On August 23, 2012, the new JTF–B Commander denied [Glenn] access to all computer systems at JTF–B. On August 27, 2012, JTF–B seized the computer hard drives used by [him]. Two days later, [he] flew back to the United States. On August 31, 2012, [Glenn] returned to the Southern District of Florida and, with his co-defendant and wife, Khadraa Glenn, made eight cash withdraws from different branches of a Bank of America, in amounts less than $10,000 from their jointly held bank account. Additionally, . . . from March of 2008 to January of 2009, [Glenn] and [his wife] both worked as consultants in Camp Bucca, Iraq. [They] worked for Blackwater, a private contractor. The Army suspected [Glenn] of fraud and hacking, and began an investigation. The investigation uncovered that [Glenn] had obtained unauthorized access to computer networks. The Army investigation also revealed that [he] had used the computers to grant himself a higher level of security access. Additionally, [Glenn] remotely accessed the computer system and elevated the level of access that Iraqi nationals had to the computer system. With regard to the naturalization fraud counts, on April 27, 2007, [Glenn and his wife] walked into a consulate in Sydney, Australia to apply for an immigrant visa petition. On or about April 20, 2013, [he] submitted to the United States Citizenship and Immigration Services (`USCIS’) in Australia an I–130 Form on behalf of [his wife]. In that form, [he] stated he had divorced his former wife in 2006 and had married the co-defendant in March of 2007. [Glenn and his wife] were interviewed by a consulate officer, and after interviewing them, the consulate officer suspected fraud. [Glenn] later submitted to USCIS a marriage certificate regarding his marriage to co-defendant, which was dated April 23, 2007. The consulate asked for additional information to establish that [his] divorce. . . . was final. Additionally, [Glenn and his wife] sent a series of emails in an attempt to obtain blank Jordanian lease agreements, to make it appear as though [he] was a resident of Jordan. The Government submits that these lease agreements were fabricated as part of [their] immigration fraud. child exploitation investigation; while in Honduras, [Glenn] was allegedly sexually involved with 13–17 year-old girls. [He] would allegedly take these girls in as house servants and pay their parents. Also, [he] allegedly told the parents of these girls that he would marry them in a Muslim ceremony. According to the Government's proffer, six potential child exploitation victims have already been identified. currently unemployed. While working for Harris Corporation, [he] had been living in Honduras in a home obtained by a straw purchase. [His] home in Honduras was a walled compound equipped with electronic surveillance. [He] has an extensive history of foreign travel, and has spent very little time in the United States. [Glenn] has eleven foreign bank accounts in places such as Australia and the United Arab Emirates, which reportedly hold a total of over $800,000. [He] has used two false IDs and three aliases. 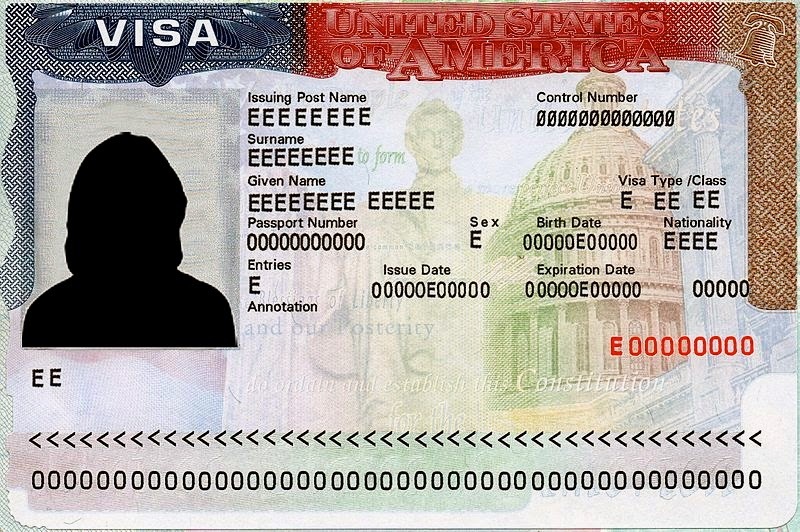 [He] had previously assumed the identity of John Michael Derek, and obtained two different driver's licenses in that name-one in Texas and one in California. However, [Glenn] also has a Florida driver's license in the name of his true identity. In 2010 and 2011, [he] allegedly purchased books on tradecraft from Amazon.com., and the seven sim cards connected with [him] suggest [he] uses different phones when travelling. Additionally, [Glenn]. . . . told Pretrial Services he married the co-defendant on March 20, 2007. However, according to their marriage certificate, [he] married [her] on April 23, 2008. . . . [H]e told Pretrial Services the co-defendant lived in Australia, but she was actually an enlisted soldier in the United States Army who lived in various states until her separation from the Army. U.S. v. Glenn, supra. In a footnote, the judge explains that “`[t]radecraft’ can be referred to as the techniques and procedures of espionage.” U.S. v. Glenn, supra. is no condition or combination of conditions of release which will reasonably assure [Glenn’s]presence if he is released. The Court finds there is a serious risk that [he] will flee if released. [He] is facing a very serious prison sentence if convicted. It appears that [Glenn] has lived a life of deception for many years. [He] is alleged to have engaged in criminal and fraudulent conduct covering many years, including immigration fraud, fraud against USCIS, fraud at Camp Bucca, fraud or illegal conduct in Honduras at JTF–B, sexual exploitation of minors, and financial crimes. In light of the substantial weight of the evidence against him, the serious nature of the charges, Defendant's numerous ties to foreign countries, the fact [Glenn] has numerous foreign bank accounts, his unstable living condition, his history and patterns of fraudulent conduct, his use of false identifications, the fact [he] purchased books on tradecraft, the fact that in January, 2014, [he] had his driver's license changed to list an address in Michigan, the allegations that [he] committed crimes in Camp Bucca, Iraq, as well as sexual offenses against minors in Honduras, and all other factors evident from the record in this case, including the recommendation of Pretrial Services that [Glenn] be detained, the Court finds the Government has shown by a preponderance of the evidence that [Glenn] is a serious flight risk. The Court is convinced that, if [he] were released on any conditions, he would flee. committed to the custody of the Attorney General for confinement in a corrections facility separate, to the extent practicable, from persons awaiting or serving sentences or being held in custody pending appeal. The Court directs that [he] be afforded reasonable opportunity for private consultation with counsel; and the Court directs that, on order of a court of the United States or on request of an attorney for the government, the person in charge of the corrections facility in which Defendant is confined deliver [Glenn] to a United States Marshal for the purpose of an appearance in connection with a court proceeding.